The interdisciplinary fields of Assistive Technology and Rehabilitation Engineering focus on understanding the impact of disability, seeking to ameliorate the impact through the employment of appropriate technology. 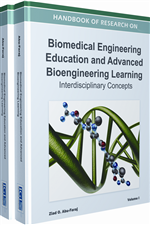 Aided by numerous illustrations, tables, and charts, this chapter provides the reader with an overview of this field in terms of its history, main concepts and principles, major activity areas, and some of the exciting current research and development projects. The chapter also covers the key psycho-social and technical challenges associated with various handicapping conditions, the employment outlook for this field, the training and educational programs that are available, and the professional societies and organizations that hold conferences, publish research reports, and seek to advance the field. Lastly, numerous references have been provided so that a reader can pursue his/her topics of interest. Be aware of the major activities in rehabilitation engineering and the breadth of assistive technology. Be familiar with some of the physical and psychological consequences of disability. Understand the collaborative roles played by rehabilitation engineers, assistive technologists, clinicians, and governmental agencies in the rehabilitation process. Know the principles of assistive technology assessment, rehabilitation engineering, ergonomics, and product design. Know the technical issues that an assistive device must overcome for several major categories of disabilities. Be familiar with career opportunities and information sources in rehabilitation engineering and assistive technology. Since the late 1970s, there has been a major growth in the application of technology to ameliorate the problems of faced by people with disabilities. Various terms have been used to describe this sphere of activity, including prosthetics/orthotics, rehabilitation engineering, assistive technology, assistive device design, rehabilitation technology, and biomedical engineering applied to disability. With the gradual maturation of this field, several terms have become more widely used, bolstered by their use in some governmental legislation. The two of the most frequently used terms today are assistive technology and rehabilitation engineering. While used somewhat interchangeably, they are not identical. In the words of James Reswick (1982), a pioneer in this field, “rehabilitation engineering is the application of science and technology to ameliorate the handicaps of individuals with disabilities.” In contrast, assistive technology can be viewed as an end-product of rehabilitation engineering activities, much like health care being the end-product of the practice of medicine. Furthermore, the term “rehabilitation engineering” carries the connotation that such endeavors often include a therapeutic or treatment component to them.